“Ain’t no way around it no mo’/I am the greatest/Lot of ni***s sat on the throne/I am the latest” These are the first words J. Cole spit on the first verse of the song Fire Squad from his newest album. J. Cole’s 2014 Forest Hills Drive is another demonstration of Cole’s sharp eye for production. Combine his ability to produce with his self-reflecting, awe-inspiring lyrics and it is easy to see why J Cole has risen to become one of the most prominent figures in mainstream hip hop music today. 2014 Forest Hills Drive dropped on December 9th, 2014, and it seems to me to be the years’ crowning achievement when it comes to hip hop music. The hip hop game continues to be watered down as the mainstream rappers representing the genre continue to lack more and more substance as major record labels put pressure on artists to go for quantity over quality. J Cole, however, is a break from the norm. He is the type of artist who strives for longevity, instead of just a few hit singles and one or two more years of fame. 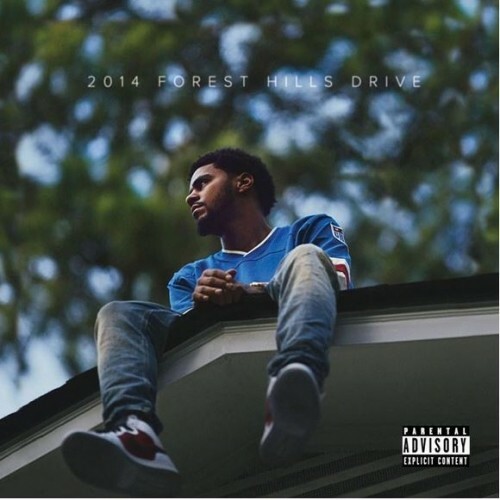 On 2014 Forest Hills Drive, the main focus of the album seems to be a critique of fame. Cole laments the fact that wealth cannot solve one’s problems but also asks how someone could know that before they achieve economic success. Not only do you get quality music when you listen to a J. Cole project, but you also get deep and profound messages. J. Cole is adept at criticizing the faults of modern culture, whether that be materialism, individualism, discrimination, or celebrity idolization. Despite his wealth, J. Cole is able to connect with people who are still struggling to make it, and this is what makes his music so popular and relatable. It’s incredible that this was a full studio album and yet there are no features. J Cole provides us with all the lyrics and personally, and I felt that this was the right choice. There is far too much of a focus on features in the rap game today. If someone has the ability to get a high-profile artist on a song, then that song will most likely soar up the charts. Consequently, most of the time it is not their best song. J Cole’s album leaves us with no doubt that he is the main force behind the success of 2014 Forest Hills Drive, which, in my opinion, is on par with Born Sinner in terms of the quality of the overall project. Undoubtedly, my favorite songs are January 28th, Fire Squad, G.O.M.D., and Love Yourz. However, almost all the songs on this album were high quality and everyone, no doubt, will have their own preferences. It would also be a good idea to check out the music video that Cole dropped for the song Apparently. J. Cole does not disappoint when it comes to the lyrical skill he brings to the game. There are many notable lines contained within this album. In January 28th Cole spits, “Show me New York’s ladder / I’ll climb it and set the bar up so high that you gotta get Obama to force the Air Force to find it / Never mind it, you’ll never reach that / Cole is the hypnotist, control the game whenever he snap.” On Love Yourz he comments on his youth, saying, “I grew up in the city and though sometimes we had less / Compared to some my n****s down the block man we were blessed.” It would be an incredibly long list if I were to recount all the best rhymes from 2014 Forest Hills Drive, but that’s just a taste of the talent displayed on this album. If you haven’t listened to 2014 Forest Hills Drive by now then you are sorely missing out. J Cole once again has proven that he is a significant force in the rap game and that his legacy is still being molded.